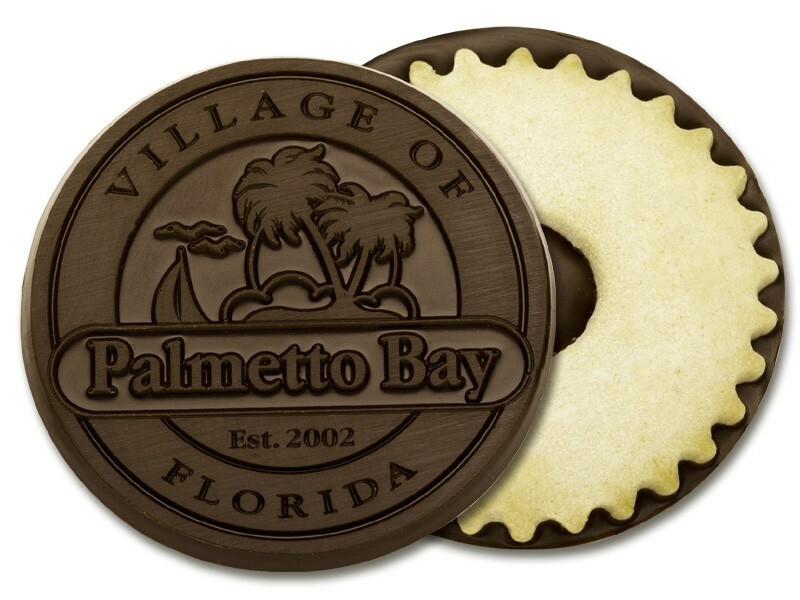 A tasty sugar cookie topped with your custom design engraved in Belgian milk or dark chocolate. Each 3.2" cookie is individually sealed for freshness. These make great giveaways at company or community events.